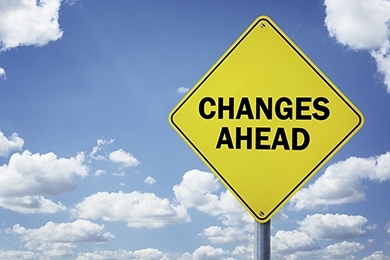 Big changes are coming for your retirement accounts. If you own any kind of IRA or are an employer with a retirement plan expect a call from your broker. This includes ROTH, SIMPLE, SEP, traditional IRA’s, along with some 401(k) and 403(b) plans. A few months ago I wrote about the possibility that the U.S. Department of Labor (DOL) would implement a new fiduciary rule requiring “advisors” whether they are brokers or insurance agents to put the interests of retirement savers ahead of their own. The DOL is going to implement that new rule next April and it will go into full effect at the end of 2017. The new rule only applies to retirement accounts and does not affect non-retirement accounts. Under the new rule all “advisors” are going to be required to act as fiduciaries (act in the client’s best interest) for retirement accounts. Registered Investment Advisors are not brokers and have legally been fiduciaries since 1940 so the new rule will have almost no effect on their business. But this is all new for brokers. The rule has sent brokerage and insurance firms into a panic as they scramble to comply with the new regulations. They are going to have to make some big changes. Currently, many brokerage firms and insurance companies depend on the sale of products like annuities and mutual funds that have commissions, kickbacks, hidden fees and conflicts of interest with their customers for their profits. The new rule aims to get brokers to act in the client’s best interest by telling them they can’t base their recommendations on the amount of commissions they receive. The rule also gives them two ways to do business. Either they can charge level fees or they can have their clients sign “best interest contracts” where they disclose their fees and conflicts. There are approximately $3 trillion dollars in retirement assets at stake in the retirement plan advice business. Almost everyone that has an IRA or other retirement account will be getting a phone call from their broker so be prepared. From what has been revealed by brokerage firms so far it looks like brokers will attempt to get their customers to move their retirement accounts into a more expensive product that charges a level fee like a managed account or to sign a contract that will allow them to continue to sell commission based products. Either way, any hidden fees will have to come out from the shadows and be revealed. At least in the fine print. In general fees will be going up and the number of investment choices will be going down. When your broker offers you a contract make sure you understand what you are signing. Read that fine print and think about how much you are paying. Ask questions. If you sign up for a managed account you are adding another layer of fees. The fees for a level fee managed account option may be 2 to 3.5% or more per year including the investments they use. Ask your broker how much you are being charged. When you ask this question your broker may only tell you their management fee. But you also need to know the cost of the products they are recommending. Both of those together are the total fees you pay. Look at investment fees in dollars not in percentages. A fee of 2% per year on a $500,000 investment doesn’t sound like much but if you convert it to dollars $10,000 per year for investment advice makes you sit up and take notice. Over 10 years even if the account value stays the same you will pay $100,000 in fees for a $500,000 account. Looking at fees should be part of the process of choosing investments because in the long run fees could be the difference between retiring on time, having to work longer or not being able to retire at all. Fees come directly out of your pocket and in the simple example above would reduce your retirement account by $100,000 over 10 years. Unlike the simple example above in the real world if you pay 2% per year the amount you pay in investment fees goes up every year as account balances go up so compounding fees means you pay more and more every year. The more your nest egg grows the higher the fees will be in dollars. It would not be unusual for an investor to pay hundreds of thousands of dollars in investment fees over their lifetime. Most people don’t know how much they are currently paying for investment advice. Normally frugal people pay these high fees mostly because they don’t know how high they are. Use the new DOL rule as an opportunity to understand the fees you are paying and if they are too high look for some alternatives because it’s your money.